TF2017 is taking place in the village and church from 28 – 30 July 2017. 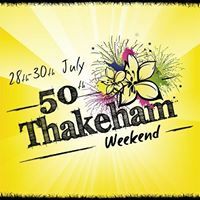 Formerly the Flower Festival, it now incorporates amazing floral displays, Open Gardens, Art and Music of all sorts, including Thakeham Rocks, bric-a-brac, a Dog show and much more! More details to follow. For the first time, we are holding a special event to launch the festival – a Fashion Show – on Friday 7 July at 7.00. The fashion show will take place in the church using the central aisle as the runway. Music and video will accompany the models and the display of clothes. The show will feature both up-to-date fashion by Cabi, at specially reduced prices for the show only, and retro fashion for those who like something even more original to add to their wardrobe or save for special occasions like the Goodwood Revival. A glass of prosecco and nibbles will help things go with a swing! Saturday 29 July – afternoon: Bellringing at St Marys – demonstration and ‘taster’ event. Have a go at bellringing! Sunday 30 July – 2.30pm: Teddy Bear parachute jump – bring your favourite teddy (with parachute!) to St Mary’s church tower for this exciting competition!